Ginger has a warm, sweet aroma and lemony flavour, the pungency varies from delicate to hot. Ground ginger contains calcium, potassium, phosphorus, magnesium, sodium, niacin, Vitamin A and maganese. 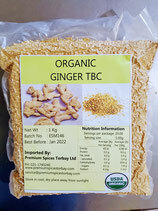 Ginger can add flavour, round of flavour and enhance particular flavours. 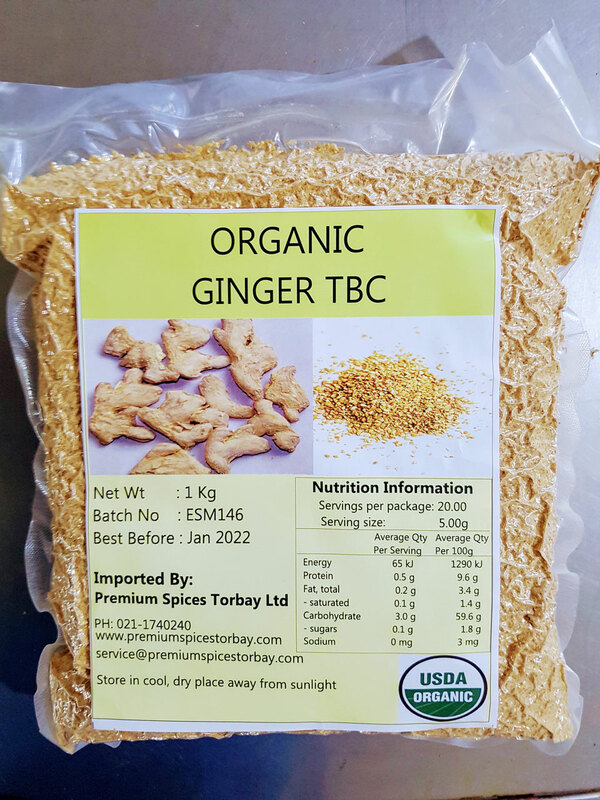 While ginger is used throughout the world, its primary popularity as a savoury spice is in asian countires such as India, Korea, China, and South East Asia. Europeans and North Americans prefer the dried and preserved form of ginger as a table seasoning in cakes, puddings, cookies, ginger bread, pies, preserves, pickels, fish soups, marmalades, ice creams, sausages, frankfurters, puddings and teas. Ginger is one of the oldest and more popular medicinal spices. It has the warming effect on stomachs soothes digestion, and is traditionally used to neutrolize toxins, decrease acidity and increase blood circulations.